UK-based sales house Cineflix Rights has picked up rights to one of Icelandic prodco Sagafilm’s latest productions, which has a host of Nordic pubcasters on board. The Minister (8×60′) is a political drama series starring Ólafur Darri Ólafsson (Fantastic Beasts: The Crimes of Grindelwald, Trapped, True Detective, The Missing). It is being produced in collaboration with RÚV in Iceland, NRK in Norway, SVT in Sweden, DR in Denmark and YLE in Finland. 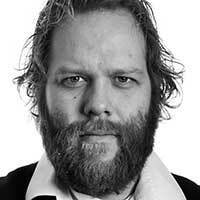 The series follows Benedikt Ríkhardsson (Ólafsson), who takes a unique approach to politics, surfing a wave of popular discontent with the establishment that earns him the support of Icelanders, leading him to become chair of the Independence Party and the country’s prime minister. However, Benedikt is also suffering from bipolar disorder. The Minister is written by Birkir Blær Ingólfsson, Björg Magnúsdóttir and Jónas Margeir Ingólfsson. The series is directed by Nanna Kristin Magnúsdóttir and Arnór Pálmi Arnarson. The producer of The Minister is Anna Vigdís Gísladóttir and the line producer is Birgitta Björnsdóttir. Executive producers are Sigurðsson, Kjartan Thor Thordarson, Thorhallur Gunnarsson and Ólafur Darri Ólafsson. Sagafilm recently made The Flatey Enigma, based on a novel by Viktor Arnar Ingólfsson, with Reykjavik Films and Sky Vision, and Stella Blómkvist, which is based on a book series by the pseudonymous author of the same name. The latter is distributed by Red Arrow Studios International.